The following is a brief overview of the process; for the complete instructions, please access the PDF Instructional here. After selecting the woods, cut six blocks of uniform thickness and size on a table saw. 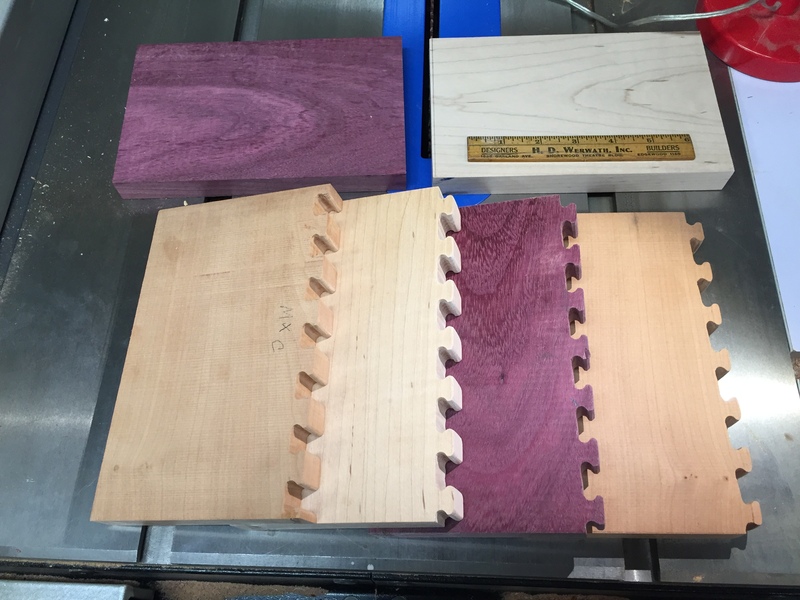 Then cut the dovetail joints into six edges (three male, three female) to provide three contrasting sections of wood. Once the dovetail joints are cut and fitted, glue the contrasting dovetail joints together. 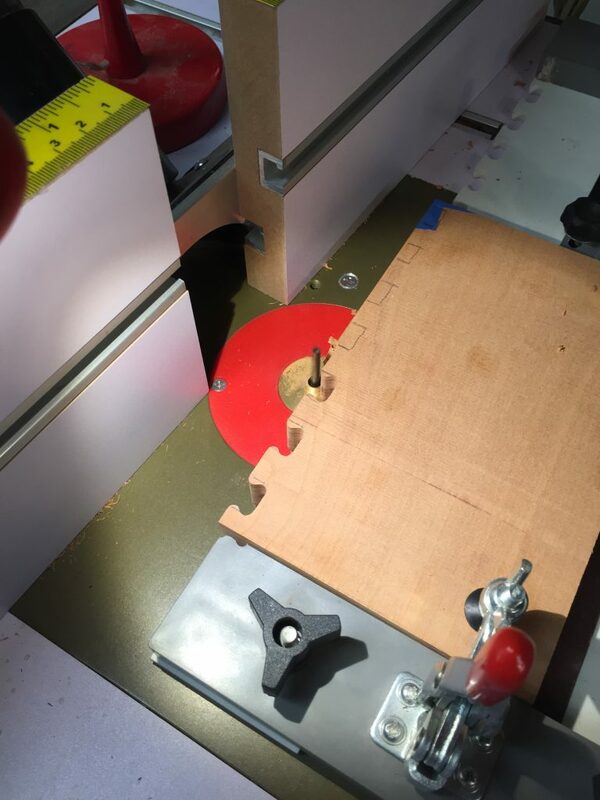 Using a digital angle gauge, set the table saw. 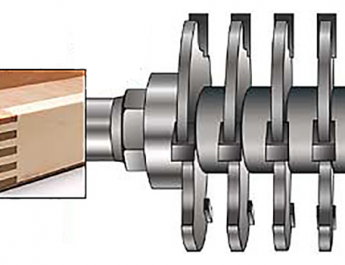 *Tip: Use an Osborne sliding angle cutting guide to cut the vertical cuts. 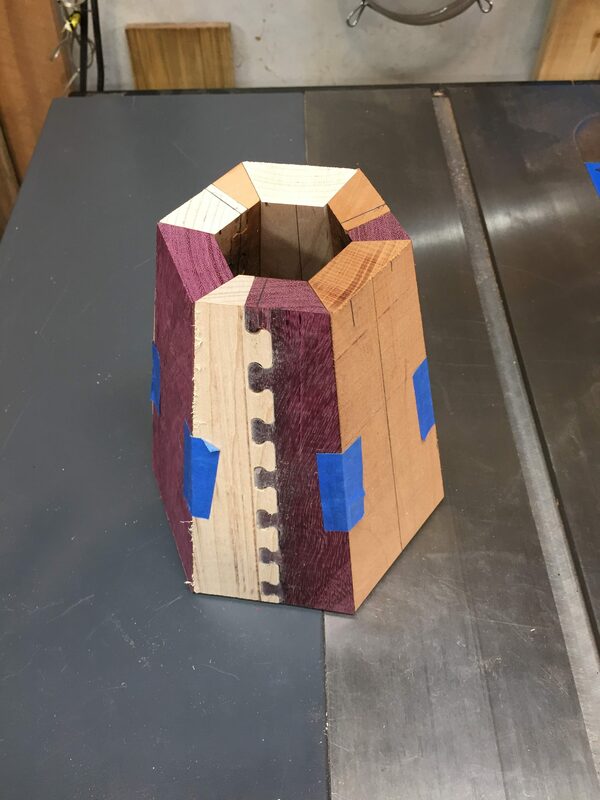 But before making these cuts, ensure proper alignment: cut a clean top and bottom edge on the glued sections. 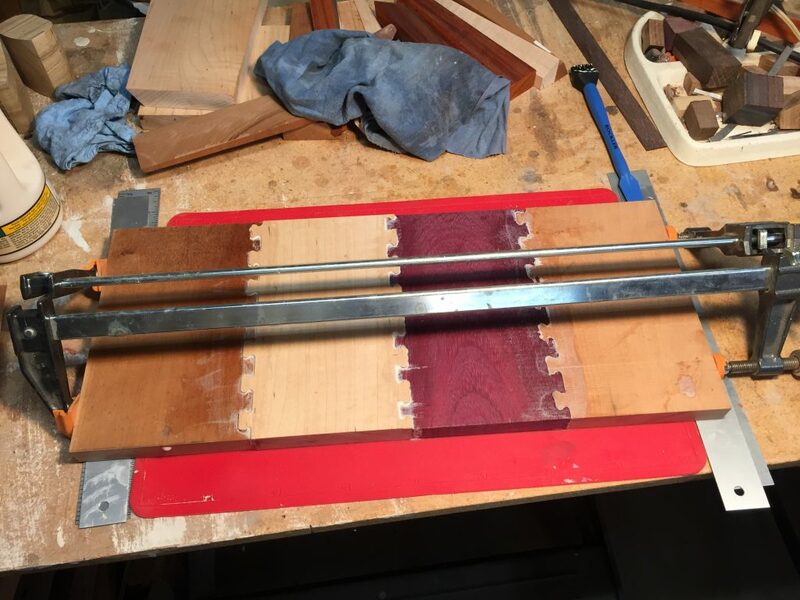 Afterwards, fit-check, glue, and clamp the staves. 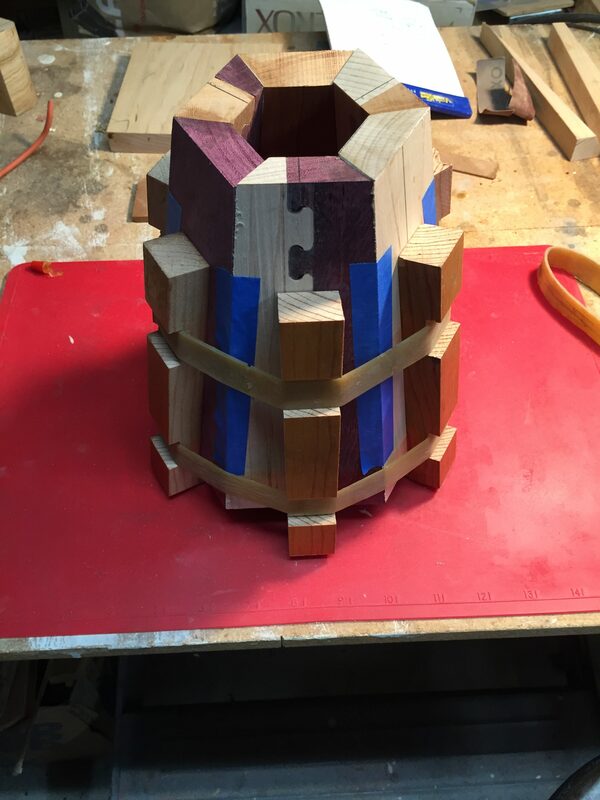 Now transfer the assembled stack of vertical staves to the lathe, where you will mate a base section to the smaller end. 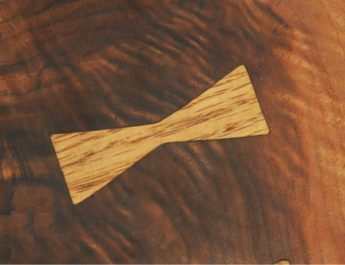 *Tip: It is important to make sure that grain orientations are consistent between the staves and base. 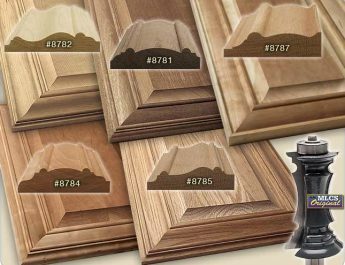 This ensures joints don’t separate with varying humidity after the glue joints are dry. It’s also important to plan the outer design so there is sufficient material to turn. 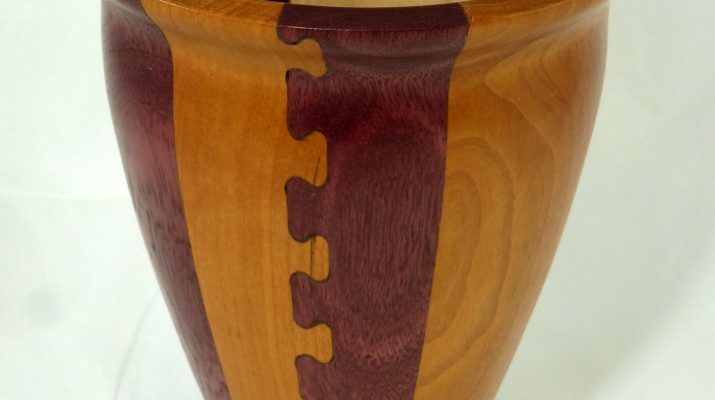 Avoid the unpleasant mistake of turning a hole in the wood, by planning the design on paper with a vertical top view. Then compare the size and thickness of the six flat stave sections with a curved outer diameter. 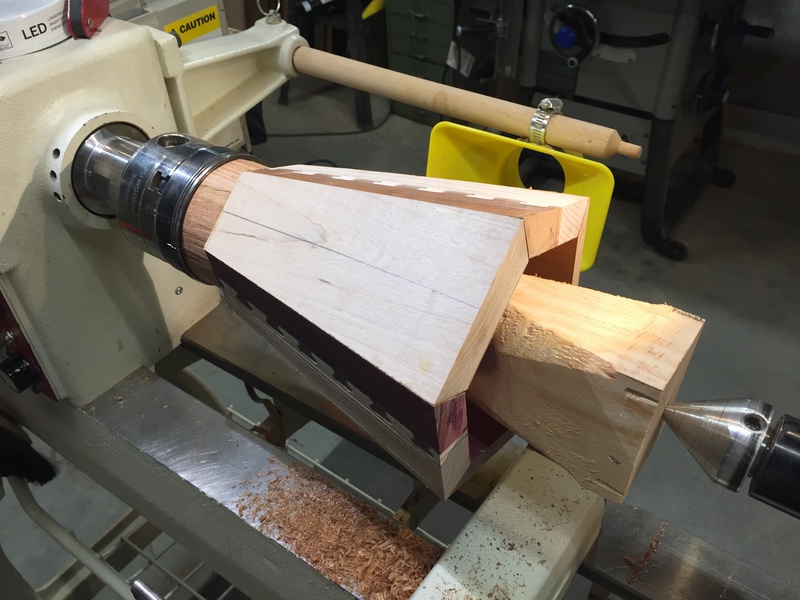 After mating the cherry base to the “stack,” cut a tenon in the base. 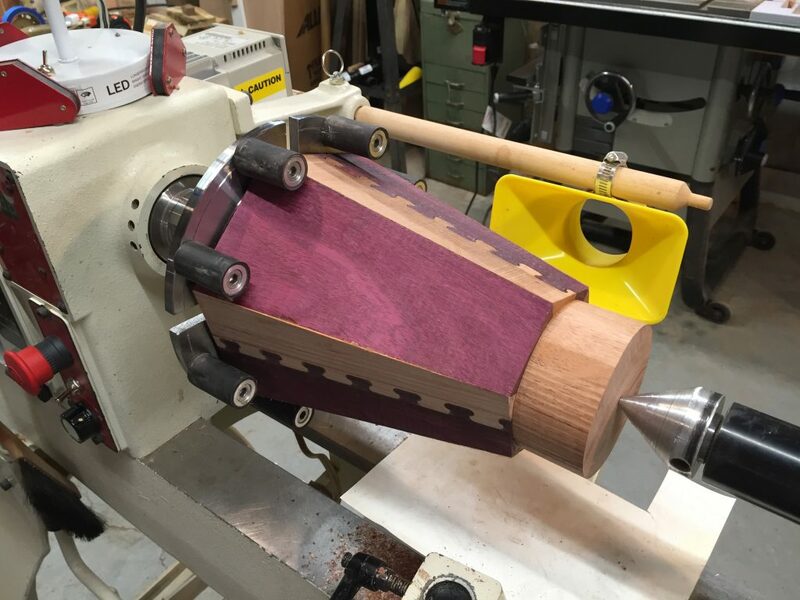 This is so the “stack” can be held on the drive end of the lathe with a 4-jaw clamp. 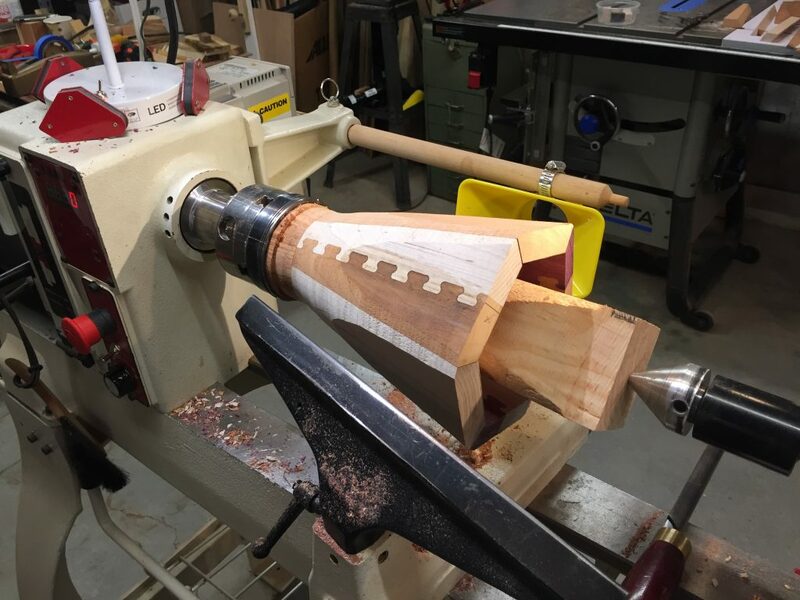 *Tip: Insert a tapered wooden extension to the tailstock to hold the stack securely while turning the outside and top surfaces. 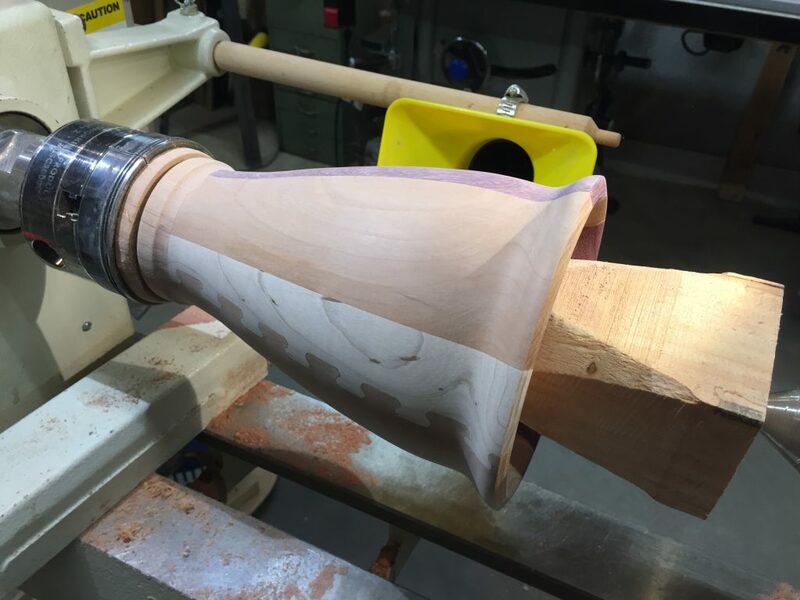 After sanding the outer surface, rotate the vase so you can turn the base. 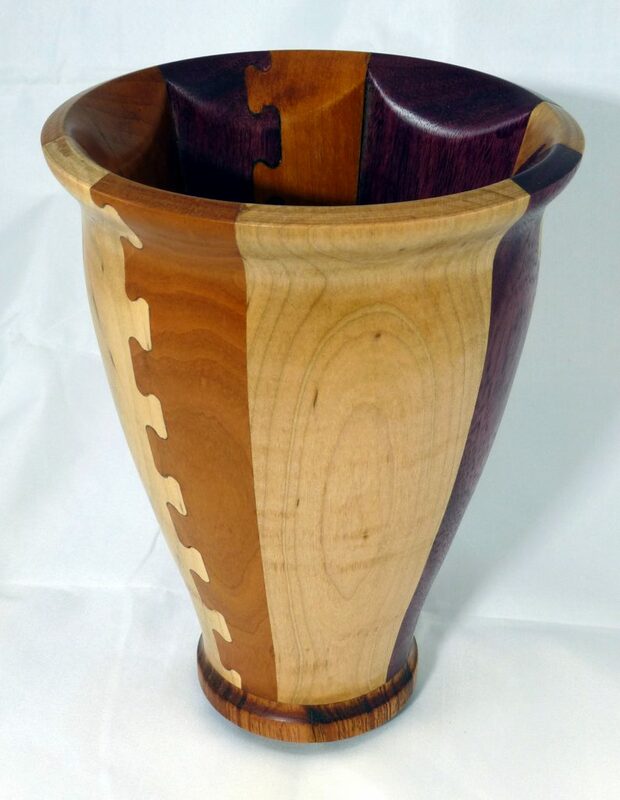 With turning and sanding complete, the raw-wood vase is now ready for finishing and polishing. 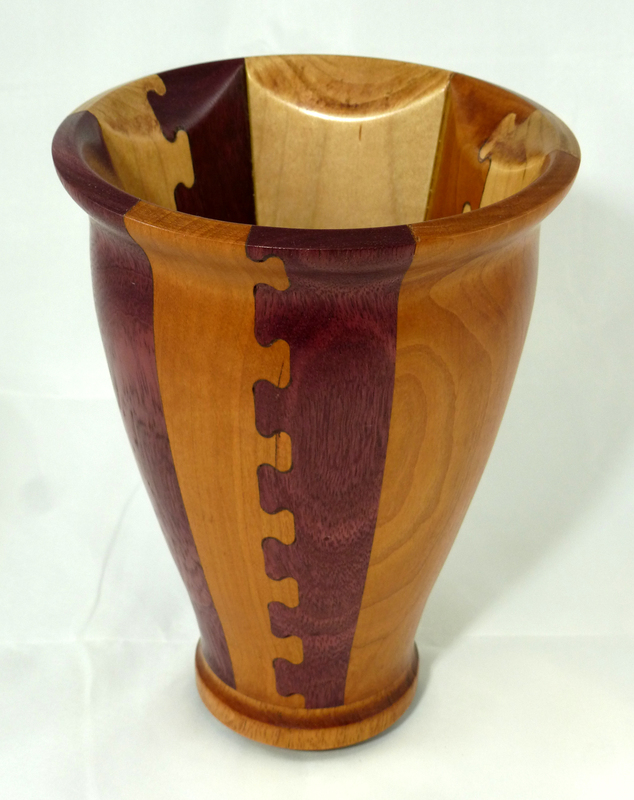 In this case, we used a resin-based oil finish to highlight the different woods and offer a durable finish. Then polished the surfaces on a 3-wheel polishing setup on the lathe. 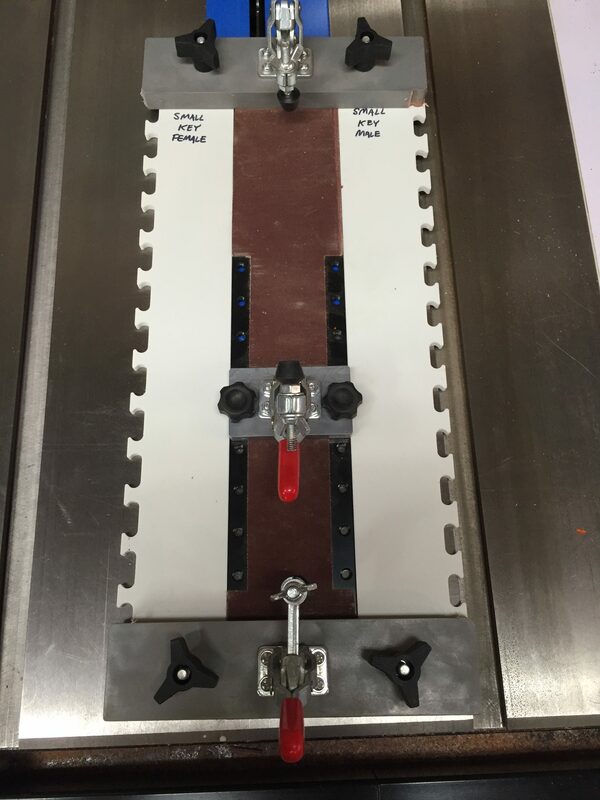 Get the Fast Joint Precision Joinery System!